A: I continue to work on a pastel-on-sandpaper painting that I began some weeks ago. 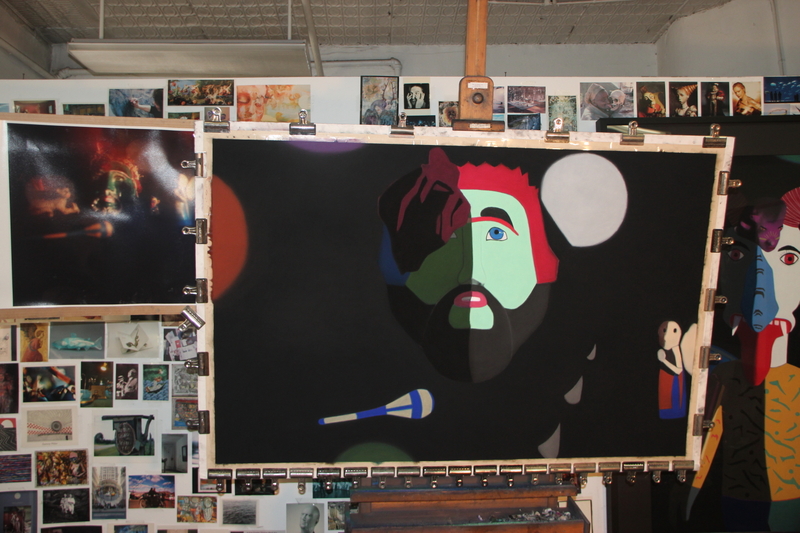 For now the working title is “Blinded,” which relates to the maroon and black shape on the main figure’s right eye. I haven’t yet figured out the deeper meaning of that shape. Posted on February 15, 2014, in Art Works in Progress, Black Paintings, Creative Process, Pastel Painting, Photography, Studio, Working methods and tagged "Blinded", black, deeper, easel, eye, figure, figured, main, maroon, meaning, painting, pastel-on-sandpaper, progress, relates, shape, today, work, working title. Bookmark the permalink. 1 Comment. What a wonderful work as for meaning that will come in time .